Register your new domain name now starting at €6.99! The Kinamo webhosting platform: scalable, fast and entirely redundant. 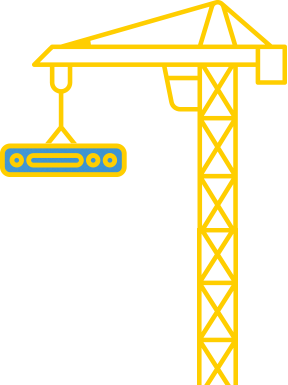 Our hosting platform is built with load balancers, SSL offloading, SSH access and other high-end features. Register your domain name and choose from 300+ domain name extensions, starting at 6,99 €. Your registration is realtime and activated at once! VPS servers on-demand: compute, database and storage cloud servers on the Kinamo public cloud platform, powered by VMware vCloud™! Cloud servers based on VMware technology with premium backup, high availability and maximum uptime guarantee. With the cloud hosting experts of Kinamo along your side, the realisation of your project becomes a success! An indispensable link in the creation of a performance oriented hosting solution: Kinamo dedicated hosting.Maximum control of network capacity, hardware and management. Kinamo managed server hosting offers the perfect building blocks for setting up your own Private Cloud environment. Kinamo is active as a hosting solution provider, since 2003. Numerous national and international customers rely on the knowledge of Kinamo for registration and administration of domain names, web hosting, Internet applications, dedicated and virtual servers, cloud servers and cloud hosting. Our customer portfolio includes web designers, web agencies, communication agencies, SMB's and multinationals. Easy! You enjoy a professional, guaranteed and flexible service. Choosing "Kinamo" means opting for down to earth, no nonsense service with years of experience in the Internet sector, all nicely packaged and without unnecessary expensive marketing quotes.